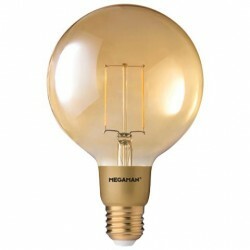 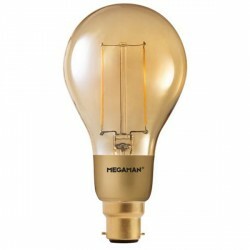 Megaman Filament Gold 3W 2200K Dimmable B22 LED G95 Bulb at UK Electrical Supplies. 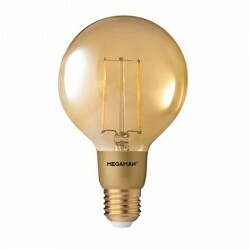 Megaman’s B22 Gold LED Filament G95 Bulb (146267) is just as efficient as it is stylish, using just 3W for a brilliant 210 lumen output. 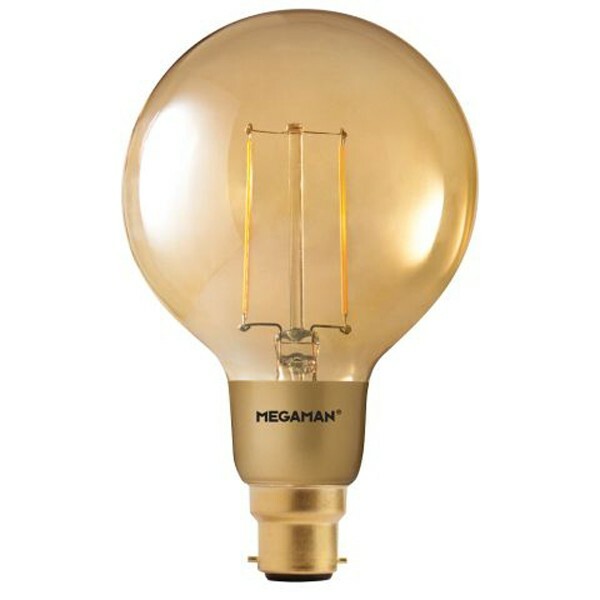 With its Gold glass and exceptionally warm 2200K colour temperature, this lamp is perfect for creating casual mood lighting in bars, restaurants, or at home. The entire Gold LED Filament range is also dimmable, making it easier than ever to capture the ideal ambience.